The Port of Miami plays a dual role as contributor and benefactor of the global activity that makes Miami an economic growing city of Florida. Latin America and the Caribbean are some of the most important countries that have operations through the Port of Miami as well as the Far East. The port of Miami is one of the most important ports of Florida. All Miami cruises companies operate in the port of Miami; therefore, if you are planning to take a cruise from Miami to the Caribbean or other destination you will become a user of the port of Miami. The number of passengers enjoying cruise vacations has been increasing the past years. Annually the port of Miami has around 4 million cruise passengers. 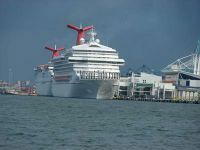 Eight cruise lines sail from the port including Carnival Cruise Lines, Celebrity Cruises, Costa Cruises, Crystal Cruises, Norwegian Cruise Line, Oceania Cruises, Royal Caribbean International, and Windjammer Barefoot Cruises. 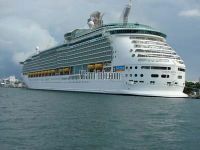 Port of Miami hotels are a great option to cruise passengers and others port users. Hotels in Miami near the port usually offer great rates, for they want to benefit all guests. To find one of the Port of Miami hotels just go through this section and you will certainly find exactly what you need. Hotels in Miami near the port have very good business amenities as well as others services such as bars, restaurants, and pool.